Last year, Italia Independent delivered an attention-grabbing collection of adidas ZX Fluxes, and now the eyewear brand is getting its shot at three more looks for Fall 2015. Using the ZX Flux, L.A. Trainer, and Los Angeles models as its base, Italia Independent&apos;s "Croc Pack" is nothing short of outstanding. Pictured here are the ZX Flux and L.A. Trainer models from the pack, both of which make use of shiny blue croc-textured uppers. The L.A. Trainer opts for an all-croc-everything upper, while the ZX Flux shows some restraint with a mostly knitted construction and croc detailing at the heel. If you like what you see, both models are available now from Overkill. 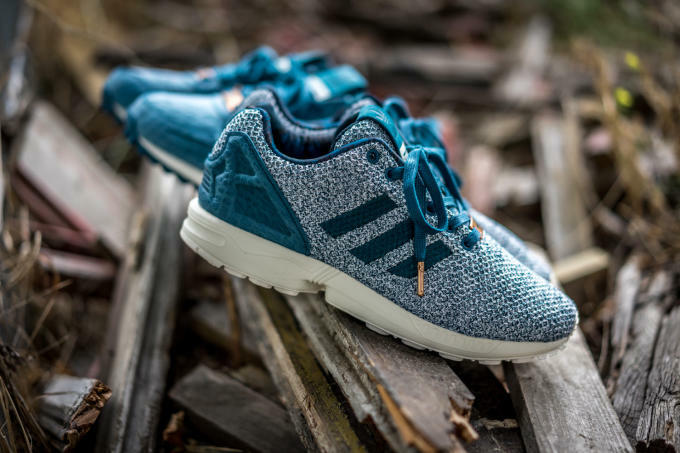 The L.A. Trainer comes in at $113 while the ZX Flux converts to $102.